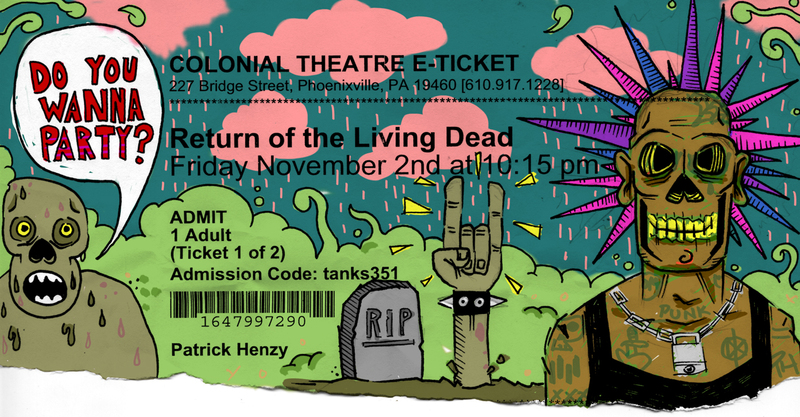 I went and saw Return of the Living Dead at the Colonial Theatre in Phoenixville last night. 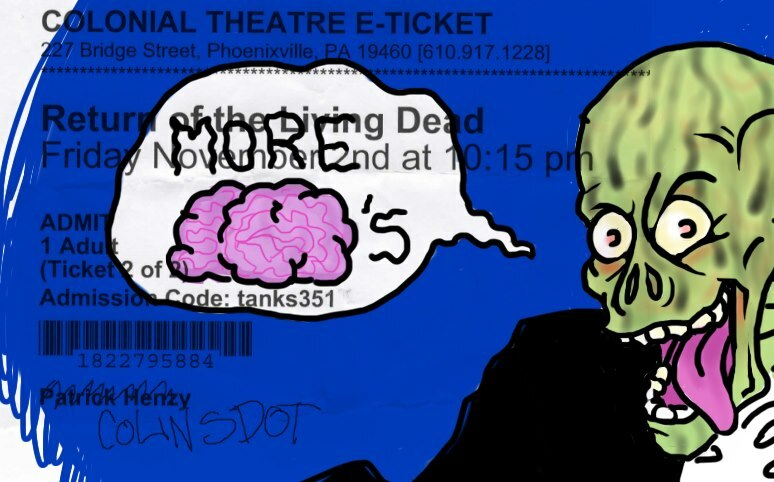 After I got home I sketched this out on the ticket stub (and then colored in Photoshop). I tagged my friend Colin in the picture when I posted it to Facebook because we had gone together to see the film. Then he sketched something up on his stub as well.